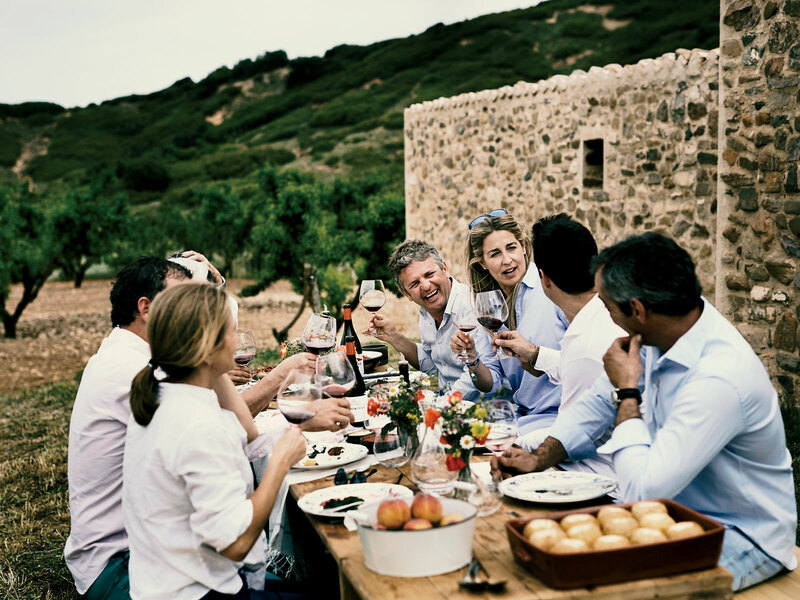 Álvaro Palacios was already one of Spain’s most influential and iconoclastic winemakers. Then he set his sights on Rioja—and things were never the same again. Ray Isle rides along on a garnacha-and-flamenco-fueled tour of the country’s premier wine region. When Álvaro Palacios isn’t making wine in Rioja, the Priorat or Bierzo, or jetting off to conferences in Portugal or tastings in Hong Kong, or touching down for distributor meetings in one of the 90 countries that sells his wines, when he isn’t doing any of that—which is basically never—what he likes to do is ride his horse, Califa, in the hills above the Riojan town of Alfaro, where he was born. In Bierzo, he and Ricardo established Descendientes de J. Palacios, focusing on the obscure Mencía grape. The wines were, again, a groundbreaking success—complex reds with the tensile strength of Bordeaux and the aromatic nuance of Burgundy, made from stubby, 100-year-old Mencía vines clinging to schist hillsides near the small town of Corullón. Today, Palacios and his friends are sitting around a table in the sun, singing a Basque drinking song. “Beber, beber, beber es un gran placer! El agua para bañarse y pa las ranas, que nadan bien!” (“To drink, to drink, to drink is a great pleasure! Water is for washing and for the frogs, that swim so well!”) Appropriately, Palacios is pouring wine: the 2015 vintage of La Montesa, high-toned and floral. To cap off the lunch, Palacios opens a couple bottles of his latest, most ambitious Rioja red, Quiñon de Valmira. What little there is of it comes from a single, high-altitude vineyard not far from the farmhouse. The first official vintage is 2014, but Palacios has been making experimental cuvées from the vineyard since 2005. “It wasn’t until I opened a bottle of the 2006 six years later, in 2012, that I really, really knew,” he says. 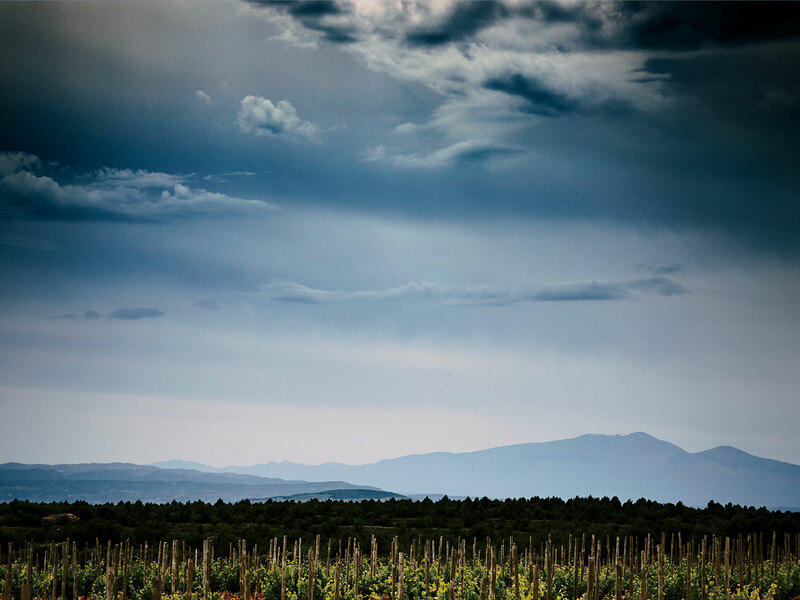 “The wine was like an elixir.” Just as with L’Ermita and his top Bierzo wine, La Faraona, it’s a liquid interpretation of the soul of a vineyard—and a definitive expression of Spanish terroir. This is Palacios’s primary wine from his Rioja estate (and a steal for the relatively modest price). It’s expressive and bright, full of the vibrant raspberry flavors of old-vine Garnacha. The most affordable red from Palacios’s ambitious Bierzo estate has the aromatic leafiness that’s characteristic of the Mencía grape, backed up by dark-berry fruit flavors. Palacios has continued to produce this melon-y old-vine white partly as an homage to his father, who made it before him. Its savory depth of flavor and exotic smoky notes are irresistible. 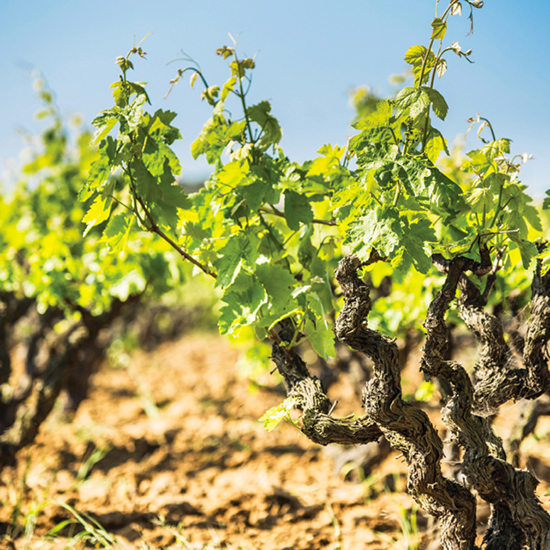 A single 80-year-old vineyard provides most of the Garnacha for this cherry-scented red. A small amount of fruit from an older section of the La Montesa vineyard helps add complexity. Unless you’re a billionaire, skip Palacios’s gorgeous but alarmingly pricey L’Ermita and seek out this, his original Priorat red. Floral and minty at first, it opens into succulent layers of ripe strawberry and black currant. Tondeluna: This innovative Logroño tapas spot has been jammed ever since Rioja’s star chef Francis Paniego opened it in 2011. Sit down at one of the family-style tables for dishes like hake confit with peppers and rice puree. Taberna Herrerías: Craving baby lamb chops and other typical Riojan dishes? Head to this 16th-century mansion in Logroño for beautifully prepared renditions of the classics. Rekondo: An hour-and-a-half drive to San Sebastián brings you to what may be the greatest cellar of old Riojas ever. The handwritten list offers hundreds of vintages back to the 1920s, at astonishingly reasonable prices. Hotel Marqés De Riscal: This striking Frank Gehry–designed hotel—somehow grafted, in all its warped-metal glory, onto the very traditional Marqués de Riscal winery—is a must-stay. The Michelin one-star restaurant carries on the avant-garde theme with dishes like smoked sheep cheese foam with foie gras crumbs and dehydrated herbs. Hotel Marqués De Vallejo: The old-school name belies this hotel’s modernist design: think lots of white, plus videos projected on one of the restaurant’s walls. That aside, the location, mere steps from Logroño’s famed tapas-crawl street, Calle del Laurel, is impossible to beat.